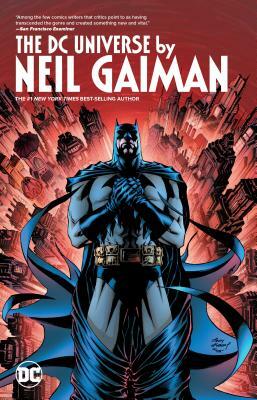 Timeless tales of the world's greatest heroes from the legendary creator of THE SANDMAN and AMERICAN GODS are collected in DC UNIVERSE BY NEIL GAIMAN. What evil is so powerful that it can melt the Man of Steel--and extinguish the Green Lantern's light? How did Poison Ivy's power first take root--and where did the Riddler find his calling? Who killed the Batman--and will the legend of the Dark Knight ever really end? The answers to all these questions and more are revealed in THE DC UNIVERSE BY NEIL GAIMAN, collecting for the first time in a single volume eight of the award-winning author's celebrated stories of superheroics! Illustrated by a host of comics' top talents--including Andy Kubert, Mark Buckingham, Simon Bisley, Michael Allred, John Totleben, Matt Wagner, Kevin Nowlan and Jim Aparo--THE DC UNIVERSE BY NEIL GAIMAN features all-star adventures from the pages of SECRET ORIGINS, BATMAN BLACK AND WHITE, SOLO and WEDNESDAY COMICS, as well as the never-before-reprinted graphic novel GREEN LANTERN/SUPERMAN: LEGEND OF THE GREEN FLAME and the complete saga of BATMAN: WHATEVER HAPPENED TO THE CAPED CRUSADER? Plus, afterwords from the author and a special sketchbook section from Andy Kubert.